It was exactly two years ago that I made a very purposeful and conscious decision to establish an online presence for myself. 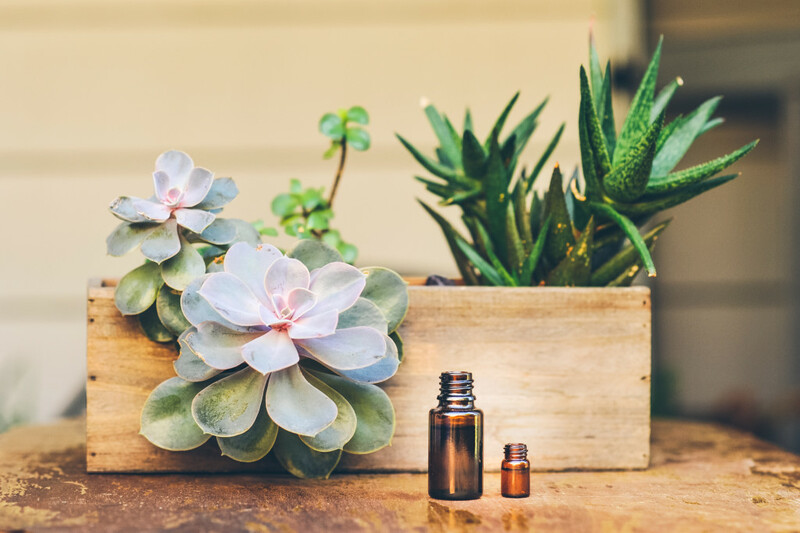 I was already gaining some traction, though not much, on social media through my sporadic but valuable posts and shares about how essential oils had become such a game-changer in my and my small family’s life. I remember so vividly the feelings of fear and self-doubt creeping up as I was making this decision. I remember thinking I don’t have what it takes to make it online, or I would never amount to these successful entrepreneurs and wellness coaches that are already attracting their tribe, helping and serving so many people. I just didn’t think I had what it takes to “make it online”. I didn’t even comprehend what it actually meant to be successful online but I knew that it was the journey I wanted to be on. Fast-forward 2 years and after two rounds of Marie Forleo’s B-School in the bag, I got myself not only a fabulous website, but an organically-grown social media following (no pun intended) on Facebook, Instagram and LinkedIn that is constantly evolving as I continue to add value through my content. It wasn’t so much the decision to have an online presence that was tough. It was the decision to “put myself out there” in a way that was raw and authentically me, that leaves no question in the minds of those that know me personally that I am speaking my truth, unapologetically. You see, I decided to make my “mess” my message; I had read that somewhere one day and it struck a chord with me. Also, with my essential oils business, I was constantly speaking about these oils and how they’ve changed the way I “do” health and take care of me and my family, that I felt there was a “Learn More” button that needed to be clicked on so that people can trust me even more. I needed a “hub”, a centralised place where people can learn more about me, what I have to offer, interact and engage with me about the message I was sharing. So I decided to start a blog and a website. But not just any blog or website. I needed it to portray the single aspect about me that differentiated me from any other essential oils advocates out there. It basically needed to showcase who I was and what I stand for. By sharing yourself in that way you are allowing your ideal “customer” to find you, relate to you and connect with you. And that’s what the blog is for me: it’s a means for me to find YOU, the ideal person that I would love to work with, serve and help breakthrough walls. And to ensure we are a good fit, I had to craft my message while staying true to myself and not seeming like every other essential oils wellness advocate out there. It was only when I let go of the fear of being the same as everybody else and embracing my uniqueness that the development of my website gained momentum. So here are my 10 tips on what you need to focus on to brand yourself and establish an online presence right now. If you follow these tips, you won’t feel as overwhelmed or frustrated and it won’t be as time-consuming. 1- Strategise and set yourself some long and short-term goals. First and foremost, it’s important that you understand your own personal and business goals. As you start to grow your online presence, you should be constantly asking yourself how each of your online efforts is helping you take a step forward in your business goals. Write your goals down so you can easily refer back to them when you do a weekly review of what you’re doing to see if everything is still relevant and on point. But don’t follow the SMART way of setting goals (you know the boring old Specific, Measurable, Achievable, Realistic, Time-Sensitive). Follow instead the DUMB way, which is something I learned from one of my favourite High Performance Coaches: Brendon Burchard. It stands for Dreamy, Unrealistic, Motivating and Bold. In other words, THINK BIG when it comes to having a website and online presence. The world’s your oyster and that’s exactly how I feel. You don’t have to play small with those freebie DIY websites like (Wix or Weebly or even the free WordPress.com). No. Go big or go home I say. Get a self-hosted WordPress (.org) website so that you have the full control, ownership and branding options that you need. Go for the real deal and build your online presence strategically so that it can help you achieve your overall business goals and allows lots of wiggle-space should you decide to scale up because your business is growing and evolving. Do you just want a place to save your favourite recipes? A place to rant about everything and nothing? Do you want to actually create valuable content for a specific targeted audience that you truly and authentically want to help and serve because you know you can and have something to offer? Think about it. And then just write it all down. Create that mental white space in your mind and get it all out on paper. My short-term goal for having a website was I needed a place to put all the information that I was always repeating to anyone that was asking me about the essential oils and how to purchase them, it was getting tiring and I needed it to come from me not the company I am affiliated with. Because people buy into why you do something not what you do so the explanations had to have my voice on it. My long-term goals for having a website are somewhat philanthropic: I want to build an Emotional Intelligence school or find ways to teach young people about emotional intelligence so my website can serve that by my curating and creating several eProducts like eCourses and eBooks on what I’ve learned in psychodynamic therapy about our “life traps”, emotional intelligence and self-awareness so that I can help others take that road of self-discovery through understanding and mastering their emotions. Because emotional intelligence is everything my friends, literally. 2- Figure out if you want to DIY your website or hire it out. For me this was a no-brainer. I went through B-School and I knew what it takes to develop your own website from scratch. I didn’t want to go that route because time was not on my side. I needed an online presence ASAP and I wanted to focus on the content not the technical aspects of creating a website from scratch. So I hired mine out to the lovely people at Project Square Brackets*and it’s been a pretty awesome journey. To me they have epitomised what it means to have a great brand to be proud of and a beautifully designed, responsive website. 3- Start thinking of how you can brand yourself and about how you want to present yourself visually and graphically. If you don’t have a clear idea for a logo, don’t waste too much time on it and get that done and out of the way quick. Your brand is NOT your logo. People don’t buy things from you because of your pretty logo, they buy your products and services because of YOU. YOU are your brand. So the quicker you figure out your logo and the emotions you want to depict in your brand, the better. How do you want visitors to feel when they visit your website? What colors best suit those feelings? When I thought about what I wanted my logo and website to look like, I wanted people to feel these feelings when they visited: emotive, raw, natural, beauty, evocative. So I chose my logo to match these feelings and to convey the romance behind my chosen tagline “living your truth and embracing you”. Now you can create your logo yourself if you have the skills to or you can hire that out to a professional graphics designer. I chose the latter because I just wanted to focus on my content creation. Also, if you aren’t taking your own photos yet, it might be time to get started. At minimum, you want to be part of a quality stock photo website that allows you to use photos on your site freely with or without attribution. I am Founding Member of an amazing health and wellness stock photo shop that truly speaks to my brand & rustic style. I have access to over 2000 downloadable royalty-free compliant (i.e. brand-free) photos that I can use to my heart’s content and overlay with text if I want to (I use Canva to do that and have a Canva For Work membership which I use every single day). Visual content is SO important and it’s not going anywhere, in fact its importance is speeding up not slowing down and your imagery will be a huge determining factor of whether your blog gets favourited or not. Social media sites like Facebook and Google+ are also favouring images & video over text more and more, never mind sites like Pinterest and Instagram which are solely based around photos! 4- Figure out your email marketing strategy. List building is one of the most important things you will ever do for your business. In any business, especially in networking businesses, they tell you to start by creating a contact list of 100 people you know. 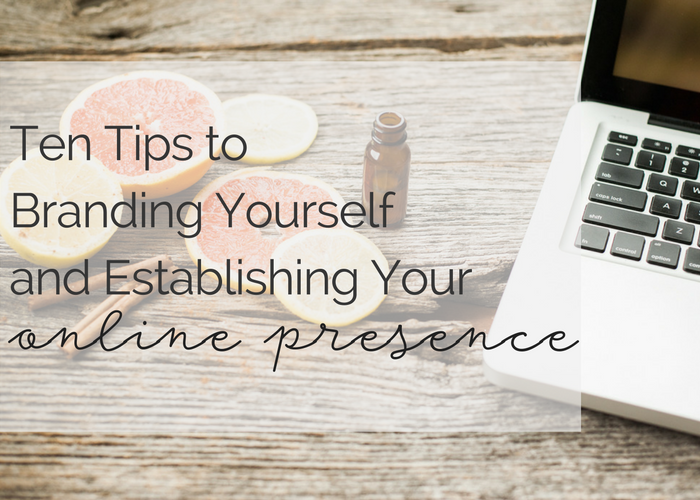 It’s no different when you establish an online presence. You need email subscribers! It’s been years and years and this has not changed one bit. Email marketing is not dead and your email subscribers’ list is a means for you to get into people’s inboxes whenever you like. That can lead to increased traffic to your blog posts and more sales when you launch a product or promote an affiliate product. Face it, you can’t trust Facebook or Google for traffic. They are constantly changing their algorithms and policies. Your email list is your only source of regular and constant traffic, should something go wrong. There are many email marketing systems out there from Mailchimp to iContact to ConverKit to AWeber. I personally chose ActiveCampaign and pretty chuffed with it. I also make use of an amazing customer relationship management tool called LeadTrain which helps me advance conversations with prospects and leads organically while nurturing those relationships in a very authentic way as I educate about my products and offerings. This has by far been the most beneficial tool for my essential oils business that has helped me forge new relationships, cement already existing ones and continuously find new people to teach. 5- Begin to consistently produce some strategic content that helps people. Whether it’s a special feature on your website, a blog post, a podcast, a video, a group challenge, a social media post, you should start providing consistent value first and foremost. This will help you gain credibility and authority in your industry or niche, which is important for your online growth and visibility. You can provide value through your online communities that you manage on all of your social media channels if you want, they are important too. The main thing is to start getting content out there. What can you share that is of value to others? I like to mix that with sharing other people’s content (OPC) around 80% of the time and posting my own content 20% of the time. This helps build trust with my followers and lets them know that I’m not just in it for myself. Sharing other people’s content also helps with relationship building and it’s a great way to reach other people’s followers who might be interested in your content too! 6- Know that your content will never be perfect and you will always be optimising and improving it. Let’s be honest here: are you a recovering perfectionist like me? Honestly, I am still working on this. One thing I’ve come to learn is that perfectionism is a serious weakness. It keeps you in stuck mode forever and doesn’t serve you or others in any way, shape or form. Get out of that perfectionistic rut stat! Here’s how you slowly recover from perfectionism: know that it will NEVER be perfect. Be okay with taking imperfect action and getting your content out there anyway. Just start. You will improve on it and what you have to offer anyway. Always be looking for ways to improve and optimise your website and your content post-launch is 100 times better than not launching. Don’t be like me and let your website launch take over a year to finalise. Looking back, I know now I was simply stuck in perfectionism and didn’t want to launch imperfectly. But I did finally (launch imperfectly) and it felt SO good to finally have my content out there! And guess what? It was so overwhelmingly well received. We are always harder on ourselves than others will ever be on us. Others don’t see the imperfections, only you do, so just do it, launch it, put it out there and improve/optimise it later. This is the way I launched my Emotions Library, which became the #1 traffic magnet to my website because it was so highly sought within the community and industry I’m part of. It is far from perfect but it highly functional and useful! I am continually optimising and improving it as we speak, adding new terms and creating the blends cards which will soon be uploaded as a new version of the library. 7- Be social and start building relationships. One of the greatest things I love about the internet is that it allows you to be everywhere. I don’t believe you should literally be everywhere on social media though. I do believe in testing and focusing on 2 or 3 social media platforms and mastering them before moving onto the next ones. And keep in mind not all of them are best for your business. Go where your target audience is. Don’t just be on Snapchat because everybody else is. Being social means you should have at least 2 or 3 social media profiles that make sense to your business and where you will regularly post and engage on. Consistency here is key like with everything else. If you can’t post regularly on them, then you won’t be able to increase your following. I don’t like to rely on automating social media either because I want to be in there engaging with my audience authentically. I like tools that help me schedule posts in advance (and I use a specific CRM tool that also doubles as a posts-scheduler for me) but I am not a huge fan of the tools that just post random content willy-nilly just to post something (some of them are ridiculous posts too like “What did you have for dinner last night?” just to create a conversation except it’s all automated so where is the authenticity?). Social media can be a GREAT marketing tool to help you gain initial fans and followers, but once you have them, you need to engage with them and build those new relationships. 8- Invest in your promotional campaigns to specific targeted audiences. Don’t be like those people that don’t want to spend any money on their businesses. I am all for spending on advertising like Facebook Ads and dark posts. You need to be spending a little money promoting your best content to a targeted group of people who are likely to be interested in your stuff. It only makes business sense. The great thing about advertising on Facebook is that it doesn’t have to cost a lot and you can learn some strategies before going all in so that you at least know what you’re doing and strategically sponsor the right campaigns. Sometimes people will even share your ad and that’s free advertising right there. So set aside a small budget of $25 or so and test and see how you go! If it doesn’t work, then maybe you need to invest in a small course to learn the strategies first from digital marketing experts and then apply them with more clarity. Never be afraid to invest in two things: your business (advertising or marketing campaigns) + your learning new skill-sets. 9- Track and measure everything!! 10- Have patience and be resilient. Your online presence has a huge potential to get you and your business known through various online channels. The world’s your oyster BUT the caveat is you’ve got to be patient because it takes time. If you are consistent and create valuable content on a regular basis (I would say 2 blog posts a week is gold but if you do one a week than you’re way ahead of many) and also are present on social media building relationships there, then momentum will surely be on your side. Remember: the way you interact with people online can expand your reach and brand awareness while at the same time growing your followers and leads that your business. You don’t have to be everywhere but you do have to be somewhere! *Have you been waiting for a good reason to start with a new website or digital marketing project? Well, here is a GOOD one! My lovely friends at Project Square Brackets, the people behind the design and development of my website are offering any of my friends a 15% off ANY project you start with them. If this interests you or know someone it would, click HERE or on the image to claim this offer. Thoroughly enjoyed reading your Blog Heba, thank you. Very informative insight about some of you and your journey, so far. Love the tips and how we can relate to them. Great blog post Heba. Thanks for the great tips! I like how thorough your post is! Developing my online presence has been slow growth for me, and sometimes unintentional, but I’ve seen it paying off and that’s quite exciting. I think what has helped most is setting goals like you said, and focusing on what I actually want to achieve. No sense in stretching myself too thin attempting to be everywhere! I loved the DUMB Goal idea! Thank you also for reminding me to think big. Everything is possible 🙂 These are very useful tips. Thank you! Yay get to it Amy! My next blog post will probably be about how I manage my To-Do list and the tools I use 🙂 Stay tuned! I really enjoyed this blog post and you have some awesome tips and advice! I, too, find myself feeling the same way, especially with the self-doubt part. Thanks for sharing all of this helpful information! Been looking for good branding content. Thanks! Really great and informative post! I especially liked number 1 and number 6. I enjoyed the idea of DUMB goals as I often find myself aiming too low – I will definitely have to take this into consideration. I also totally agree with the importance of needing to put your content out there and perfecting along the way, which is something I am just starting to overcome. Thanks for the post! I started blogging without really having a plan, I just knew I wanted to blog about something. After a couple of months and a change of name for my blog, I think I have settled on my niche and am learning as I go. There is something to be said for just jumping in, but I sure wish I would have taken a little more time before I hit publish 🙂 Great tips!! Thank you, for writing this post it has been very helpful. I just stared a blog about 3 weeks ago so reading this has really helped. Really like the DUMB Acronym! Saved this on Pinterest for blogging inspiration.